What Is Goods Giving Back? In 2016, as I looked at the monster list of projects I hoped to attempt I decided to create a new “story of stuff” and launched Goods Giving Back. 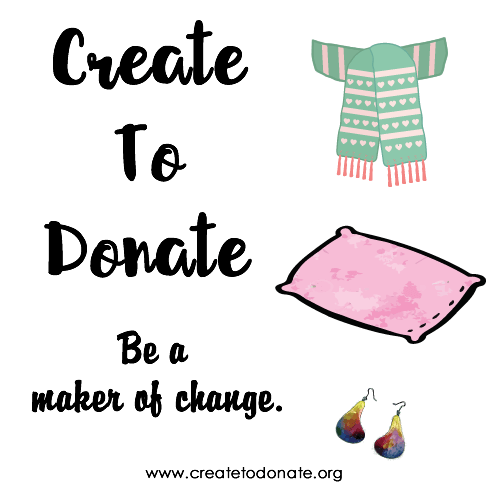 I wanted not only to promote being a mindful maker but also to improve transparency and accountability when donating proceeds from a sale to a nonprofit. My original approach provided an online marketplace where small-batch makers could easily, immediately, and transparently donate a portion of their Goods Giving Back sales to small nonprofits doing great work in their communities. Over the course of Goods Giving Back’s first year, I learned a lot about where my initial thinking did and did not work as a handmade-focused e-commerce website. So to keep the momentum going, 2017 will bring a variety of changes, both to the online shop and the blog, intended to improve the overall experience. The goal of this site has been and will continue to be, to Do Goods Work™ because when we do good with the things we make (aka our goods) we have an even more meaningful experience. As makers, when all of the designing, crafting, tinkering – and most of all, having fun – is used to create a finished product that benefits something about which we care deeply it strengthens our connection to our community. The blog will, therefore, continue to offer insights and DIY tutorials, as well as guides, on how to plan and host events that support fundraising for your favorite nonprofits and organizations. The Goods Giving Back shop will not only offer handmade goods but also virtual goods to increase the products available to support the Goods Giving Back nonprofit members. Goods Giving Back intends to be THE site where doing good meets DIY – so let’s get busy.